The Christmas morning frenzy has come and gone. The kids are off playing with their shiny new toys and the living room looks like an explosion at the paper recycling plant. All your careful wrapping has been pulled apart and strewn around the tree like drifts of brightly coloured paper snow. Isn't that what Christmas is all about? Now comes the big clean-up. While it’s the easiest option to shovel the whole lot into a garbage bag and squish it into the outdoor bin, let’s just take a few moments and do the conscientious thing. Besides – I've witnessed two instances in the last couple of years where gift certificates were accidentally scooped up with the wrapping and disposed of, much to the despair of both the giver and the recipient. - Take a few moments to separate the wrapping, ties, tags, gift bags, envelopes and cards into one pile, other paper and cardboard into another, and the plastic and other non-recyclables into a third pile. 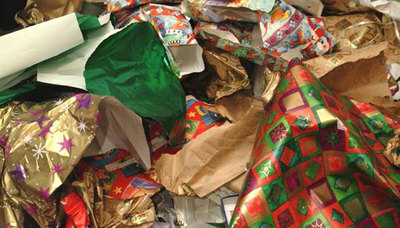 - The non-recyclables can go straight into the bin, and the same for the paper and cardboard, but let’s take some time to sort through the last pile, the one with cards and wrapping. -	Check all envelopes to make sure nothing has been left in them. If they haven't been written on they can be saved and re-used. -	Open all cards and check there’s no gift certificates, money or lotto tickets you've overlooked in the excitement (kids are notorious for ignoring cards and going straight for the parcel.) 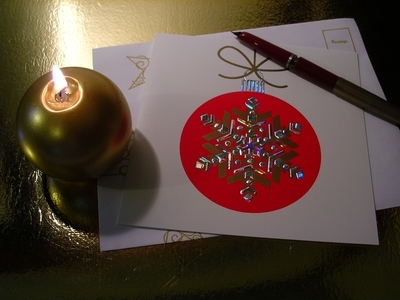 Some cards can be re-cycled into pretty gift-tags next year. Cut out the picture and punch a hole in the corner for threading string. 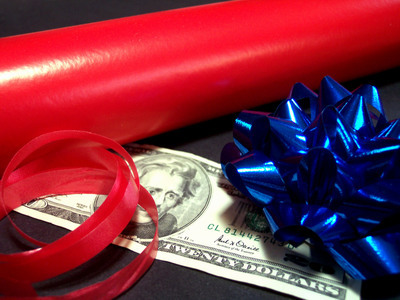 -	Check gift bags for the same thing – anything hidden in the depths. If the bag is still in good condition, keep it to be re-used next Christmas. -	Any ribbons, ties or other decorative bits can also be put away and re-used. -	Check gift tags. Have they been written on? Can they also be re-used? -	Now for the wrapping paper. My children have always teased me for saving wrapping paper, but my argument (a solid one, I think) is that there is enough wasted paper in the world and re-using wrapping also saves me money. A testament to this method is that I haven’t bought a roll of paper, ribbon, a gift tag, or a gift bag in several years. 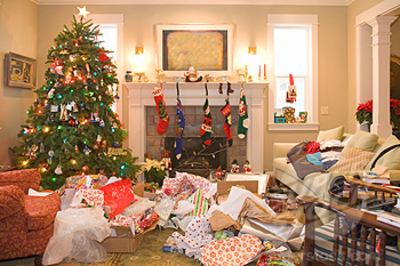 Taking the time on Christmas day – no matter how tired we are – to do this quick sort can save us money and waste for many Christmases to come.